498th Medical Co., Ft. Benning, Ga. 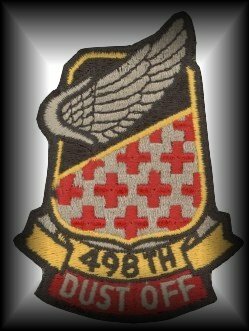 THIS SITE IS DEDICATED TO ALL DUSTOFFERS, PARTICULARLY THOSE WHO SELFLESSLY GAVE THEIR LIVES. THIS SITE IS A PLACE TO SHARE MEMORIES, INFORMATION AND MESSAGES. 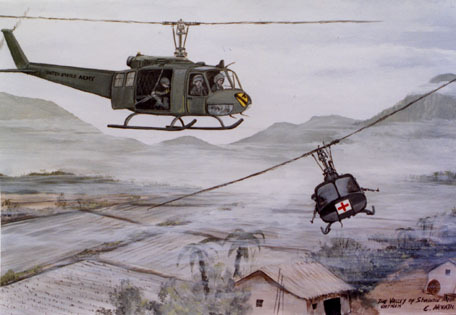 This site was inspired by members of the 498th, expressing the desire to see a dedicated webpage for the 498th Medical Company (AA). Bob Madore's 498th DUSTOFF Page beat us to it-that page is linked here. Of course, all these pages were inspired by the DUSTOFF ASSOCIATION webpages. All are welcome to hover in and stay awhile. We are anxious to receive material and suggestions that will further the goal of our webpage. Please Note: This is a privately owned and maintained website. As you can see, we have added a few things to the site. Please send comments and suggestions via email or the forum. We have an average of 8 visits per day here, thanks for the support!